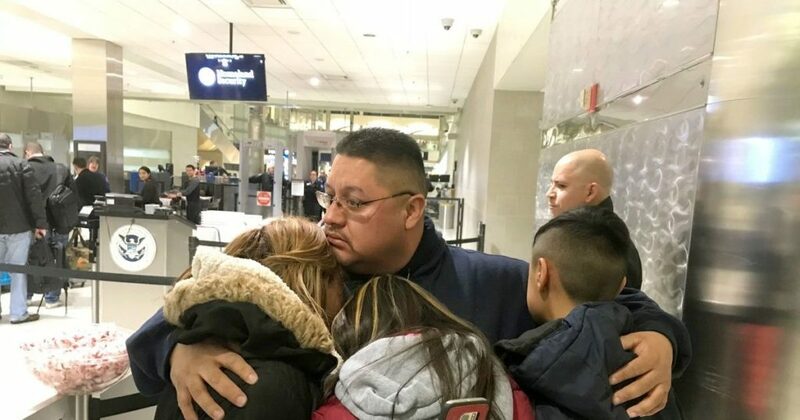 On January 15th, Jorge Garcia got deported to Mexico after 30 years of living in the United States. His wife, daughter, and son, all American citizens, watched Garcia getting on a plane to fly to his birthplace, Mexico City. Garcia arrived in the United States when he was only 10-years-old. His aunt brought him, and he never left. He got married, had children and worked every day to set an example for his kids. Garcia always paid taxes and never even got a single traffic ticket. Now, after 30 years of not having stepped foot in Mexican territory, he has to live with his aunt who he had not seen for the same amount of time. Garcia has to live in a city that is now a strange place for him. “It is something different from what I remember as a kid to now. And everything has changed, and basically from Detroit to here is a total change,” Garcia told CNN. According to his attorney, he could get back to his family in two years. ICE documents, however, state that it could be a ten-year ban for him. “Michigan is home,” he said. “My family is there. My whole life is over there, even though I was born here.” Garcia’s wife, Cindy, describes the situation as heartbreaking just one day after getting separated. Garcia’s children are too upset to even talk about their father. “It’s sad. It’s devastating, it’s a nightmare,” Garcia’s wife told CNN’s Chris Cuomo during a joint live interview with her husband. “I didn’t go into the country by my choice. I was a kid,” Garcia told Cuomo. “I understand that we need to protect our borders from terrorists, but my husband is not a terrorist. He is not a criminal, and every situation is different,” Cindy continued. Through the video interview, Garcia told his children that these were hard times, but that he’d be back home soon.